11 Ideas for a Night Out at Disney Springs This Holiday Season! 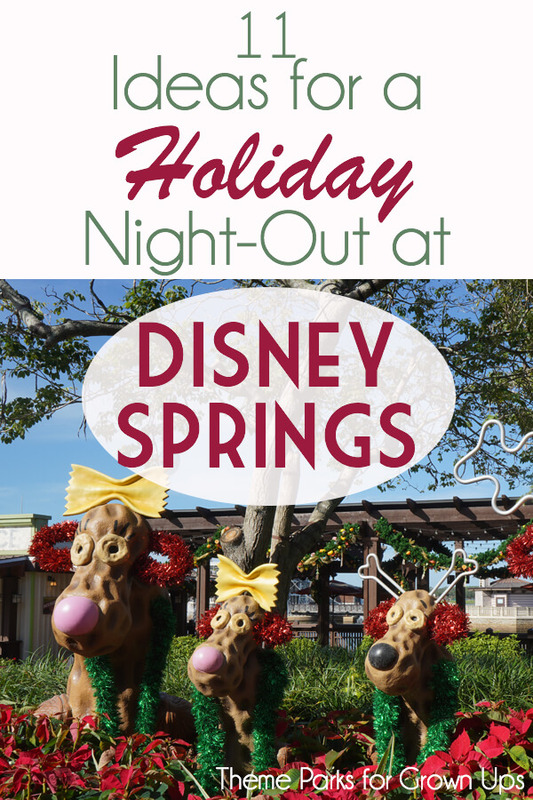 Disney Springs is the perfect place for grown-ups to spend an evening during the holidays. The atmosphere is incredibly festive, lively, and there is entertainment on every corner. Not to mention the many, many options for good food and drinks. The best part? Admission and parking are totally free! This gives you the option to spend more money on cocktails and gingerbread instead. The options are so vast that you can make a night in Disney Springs a dressed-up date night or a casual evening with a friend. Every year, the decorations become more ornate and Disney offers more things to see and do! 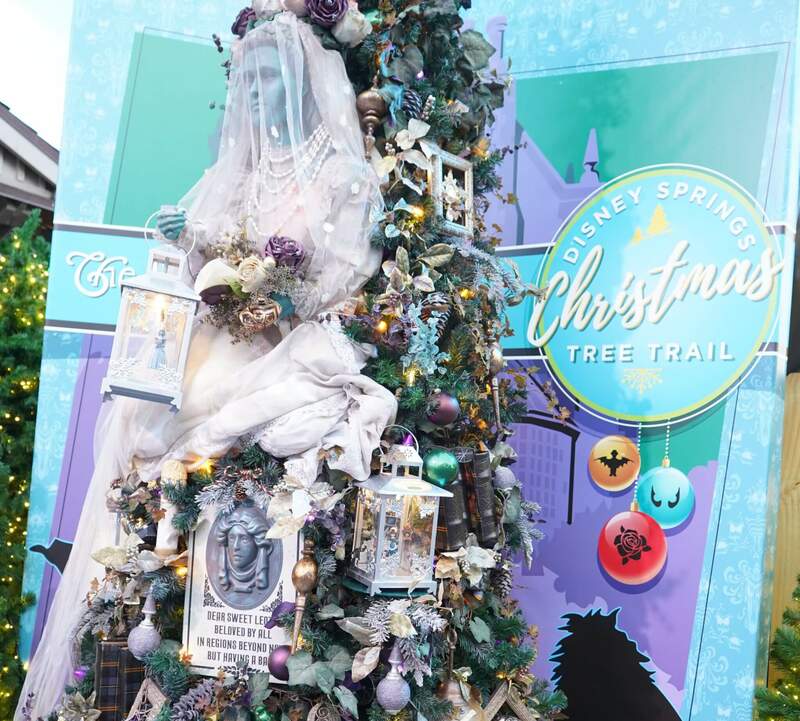 Christmas Tree Trail (Now through January 6th from 11:00 AM – 11:00 PM): The new tradition for Disney Springs is the fun and free Christmas Tree Trail. Last year, guests were fairly underwhelmed with the tree decorations, but this year they amped it up with more creative ornaments and theming. 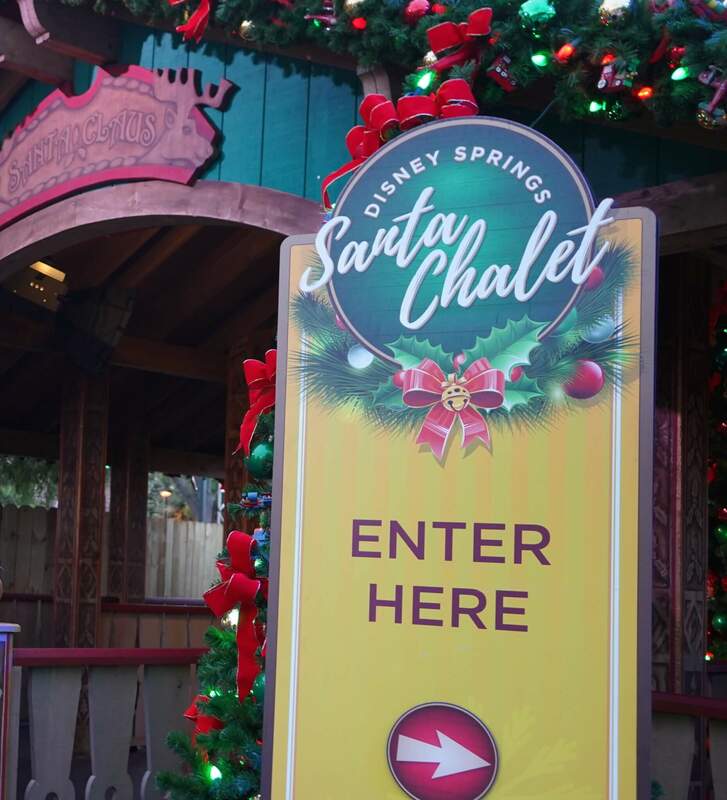 The trail is located in the Marketplace area of Disney Springs and conveniently placed near the Days of Christmas store. The winding path showcases Christmas trees decorated ornately with detailed themes of various Disney movies, rides, and characters. The Haunted Mansion tree featuring the attraction’s murderous Bride was my favorite! Inside the Tree Trail, they sell Disney treats like popcorn, cocoa, and pretzels. You can also find Christmas drinks like alcoholic eggnog and frozen hot chocolate along with Gourmet Cotton Candy flavored with gingerbread, eggnog, or candy cane! Create a Customized Ornament: Don’t be afraid to get completely cheesy and take home something that commemorates your visit. Days of Christmas, the holiday store open year-round, will customize your ornaments for you. The Mickey head ornaments are popular and a subtle nod to Disney. If you don’t like the idea of a Disney tree, they have simple ornaments available for inscription too. And pay attention when you’re wandering through the tree trail! On each tree is a featured ornament that you can buy from Days of Christmas. 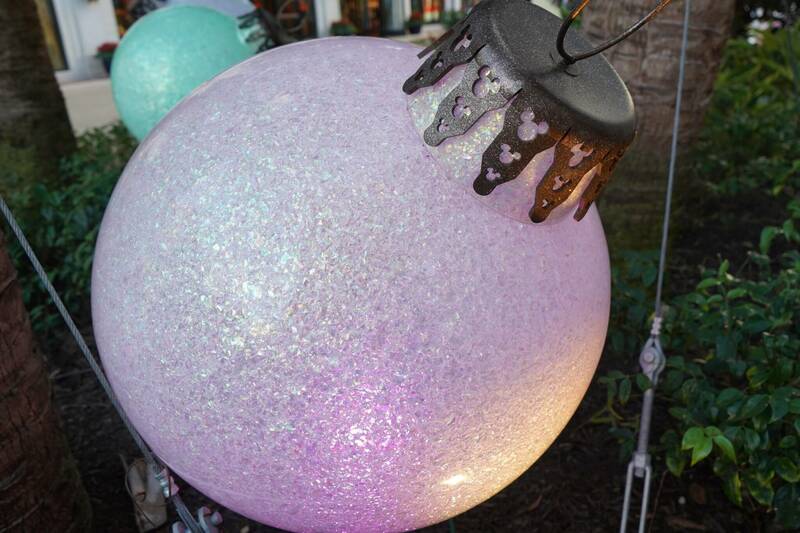 The featured ornaments are placed inside silver glass lanterns, so you can find them easily. Get a Picture with Santa (Christmas Tree Trail): You’re never too old to meet the big guy. A professional picture with Santa is a fun way to remember your trip. The wait can be really long, but they do have the option to wait in their virtual line. Go to the kiosk at the beginning of the Christmas Tree Trail to put your name down on the list. They will text you when it’s time to take your picture. 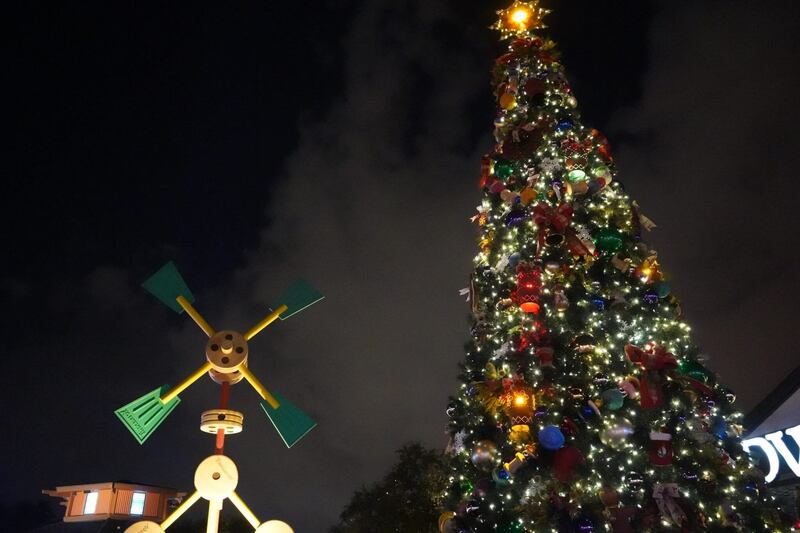 Absorb the Holiday Atmosphere: Disney Springs has not one, but two, giant Christmas trees. The 50-foot tree is located at the Town Center near the bus stops. You can get a PhotoPass picture taken at this tree. The smaller one is next to Once Upon a Toy near the entrance of the Tree Trail. Musicians playing holiday tunes are spotted all over Disney Springs and there are beautiful lights and quirky decorations everywhere you go. Many picture opportunities here! 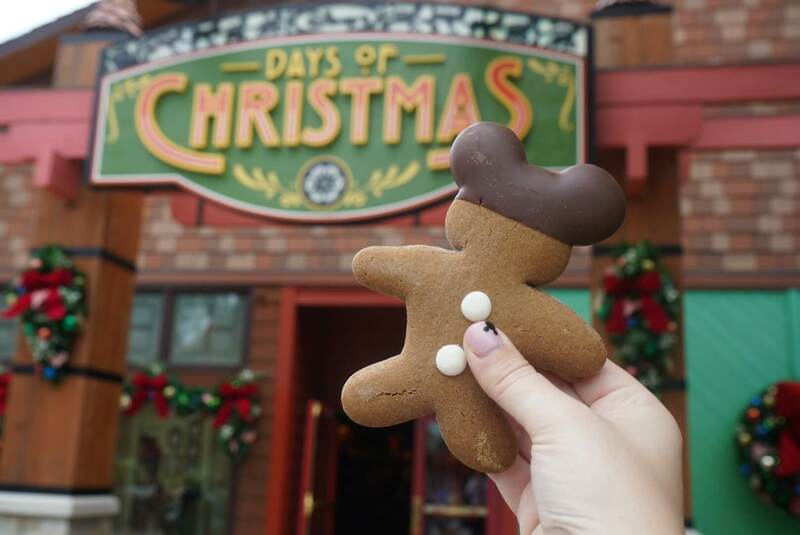 Take Home a Holiday Treat: The hot spot for Christmas treats is Goofy’s Candy Co., across the path from Days of Christmas. Here you can find gingerbread Mickeys, snowflake candy apples, Christmas cake pops, and tons of other treats. If you’re on the dining plan, most holiday treats can be used for a snack credit! Pick Up Some Holiday Merch: World of Disney has one of the largest selections of holiday merchandise. They have a section completely dedicated to seasonal souvenirs. Go full nerd and buy matching holiday sweaters with your partner or just do some window shopping! There are some super cute Christmas t-shirts, holiday Minnie Mouse Ears, and festive hats. World of Disney is worth a pit stop whether you plan to spend money or not. Fancy Festive Dinner: Most restaurants are decorated for the holidays with wreaths, lights, and baubles tucked here and there. If the weather permits, I like to sit outside and enjoy the Disney Springs hustle and bustle. Depending on your idea of a good time, the weekends are especially lively. If you’re not in the mood for crowds, the weekdays are much quieter. The most popular adult-friendly restaurants are The Boathouse, Maria & Enzo’s, Homecomin’, Morimoto, or try The Edison for entertainment on the weekends. Reservations are definitely recommended for all of these. Keep it Casual: There are plenty of great options for quick-service restaurants as well. Then, you can spend more time shopping and soaking up the holiday feels! The best casual dining restaurants at Disney Springs are the Polite Pig, Blaze Pizza, and the 4R Rivers Cantina Barbacoa Food Truck next to World of Disney. 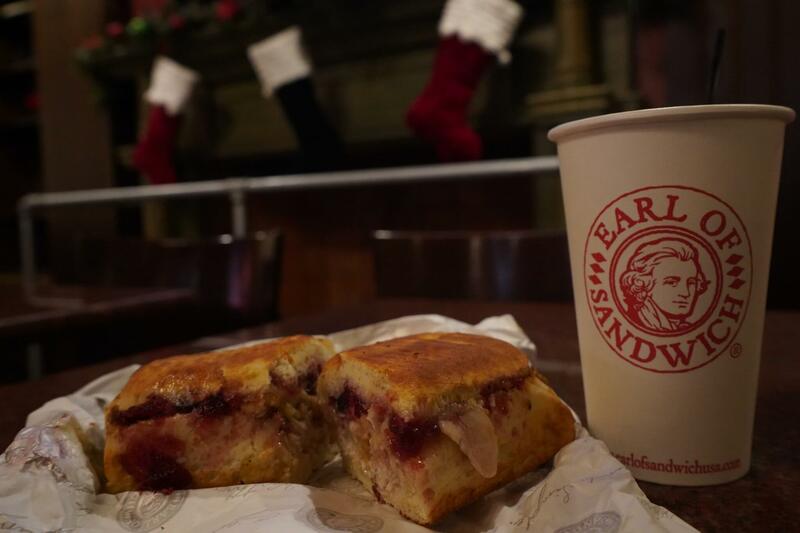 For special holiday items, Earl of Sandwich is serving it’s delicious Holiday Turkey or Ham Sandwich, D Luxe Burger has a Holiday Turkey Burger, and The Daily Poutine serves a Turkey Poutine with Cranberry Chutney. Share a Holiday Dessert: After dinner, grab dessert from one of the many places dedicated to sweet treats. Amorette’s Patisserie is the best place for decadence and has the widest spread of holiday offerings like Character Hat Ornament Cookies, Winter Wonderland Petite Cakes, and Santa Mickey Dome Cakes. You also can’t go wrong with Erin Mckenna Bakery (vegan desserts) or Vivoli il Gelato for a Candy Cane Sundae. After-Dinner Christmas Cocktails: Most restaurants have self-seated lounges with full menus so you don’t have to make a reservation in advance. I stopped by Jock Lindsey’s Hangar Bar for a drink and they had 4 different holiday drinks on the menu, which I’ve listed below. Other fantastic Disney Springs bars are Enzo’s Hideaway, Wine Bar George, Homecomin’ (inside lounge), Coca-Cola Rooftop Bar (great view! ), and Bongos Cuban Cafe. If you don’t finish your drink at the bar, ask your Server to dump the rest in a to-go cup. My favorite thing about the parks and Disney Springs is that you can walk around outside with your drink in hand! Catch a Christmas Flick: Disney Springs has a huge AMC Dine-In Theatre and it’s a great place to see a Christmas movie! Disney’s The Nutcracker, the new animated How the Grinch Stole Christmas, and Fantastic Beasts: The Crimes of Grindelwald are new releases this year and perfect for the season. Ralph Breaks the Internet is released on November 21st too! If you want to be a bit more active, Splitsville is a fairly new retro-themed Bowling Alley with good drinks and pub food. They are currently serving turkey and stuffing Gobble Gobble Sliders as a featured holiday item too! The holiday season at Disney World is absolutely stunning and unlike anywhere else. If you don’t make it to the parks, Disney Springs offers the Disney holiday magic on a tighter budget. Even if you are visiting the parks, I still highly recommend setting aside an evening to enjoy the area. As always, don’t feel pressured to check everything off this list. Disney FOMO is real, and I encourage everyone to take it slow and absorb the Disney holiday atmosphere with the ones you love. If you’re visiting the Magic Kingdom for Mickey’s Very Merry Christmas Party, be sure to check out my guide to planning your night. I answer 15 frequently asked questions regarding the Christmas party and you can read the post here. I am Disney MAD so have fallen in love with your blog! 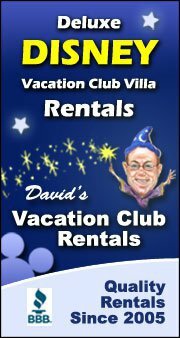 SO much useful advice and this post is great if (like us) you travel without children so are looking for a night out at Disney! Awesome! Thanks for stopping by, Lauren. I’m glad I could help another Disney fan! This sounds so magical! Christmas is my favourite time of year and I would love to experience the Christmas tree trail. My parents took my brother and I to Disney World over the Christmas period when I was six. While I don’t remember everything, I do have some memories and it truly is one of the most magical places? It’s an incredible place! I think you’d really like it as an adult too! There’s so much to do even for grown-ups. It’s my favorite place to escape from reality a bit. Wow, amazing and looks so tempting. Realky liked your article. It totally is! And there’s even more to do outside of the holiday season! I’m a big fan of Moscow Mules and I really liked it. Hopefully you’ll make it over there someday! It’s great to visit during this time of year. I only stayed there for three nights. It was too short. We are thinking of going there for a week now. Totally! 4-6 days is the perfect amount of time for Disney World. Plenty of time to see most of the parks and Disney Springs. Any part of Disney World makes for a great date, I think, haha. But Disney Springs is so convenient for those who live in Orlando and don’t want to pay for a park ticket. 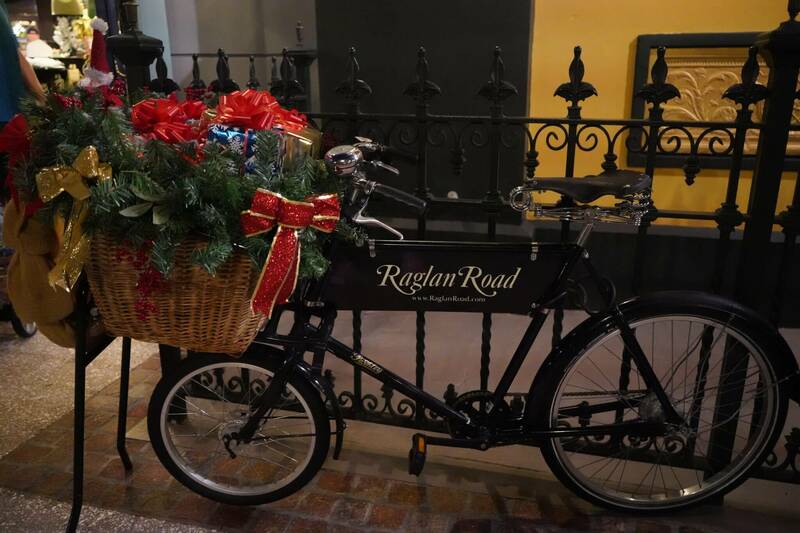 Christmas is one of my favorite times to go – so much to do in Disney Springs alone. Agreed! I love date night at Disney. 🙂 That’s why I love Disney Springs too. No extra fee to get in and you can go as often as you want! After-dinner cocktails are my favorite thing about Disney Springs. haha. 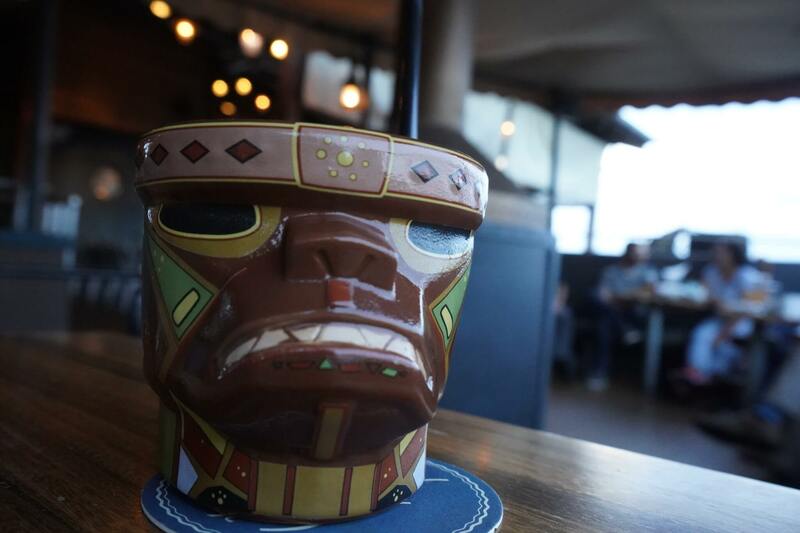 Jock Lindsey’s Hangar Bar and Enzo’s Hideaway have fantastic drinks. Oh, cool! I really want to visit the other parks outside of the U.S.! Hong Kong Disney looks incredible.